It has been a long wait, but the inevitable has happened. Viswanathan Anand is now the undisputed World Champion! The world's top-rated player brings a semblance of stability to the title and will hopefully eliminate the rancor that has sullied the game for the past 20 years. Anand's title is his second. He won the 2000 FIDE Knockout Championship in Tehran, Iran, but refuses to draw any comparisons between the two. He only says that it is much better being the undisputed champion. Vladimir Kramnik, the previous champion, came in second. Anand scored +4 on a 9-5 score and went undefeated throughout. He had a couple of scares against Boris Gelfand and Alexander Grischuk, but kept his nerves in those games to gain the draws. Anand will now play Kramnik in a Challenger's match next year and will have until then to enjoy his new title. He feat will no doubt provide another boost to Indian chess… in fact throughout Asia, Africa and the rest of the developing world. 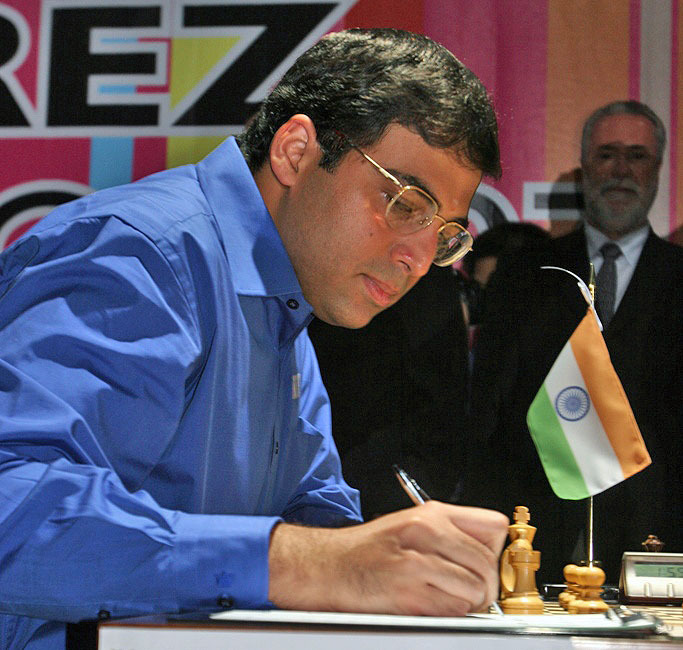 India has gained from Anand's stature in the past and has been a rising power for the past decade. For his victory, India will perhaps produce 15-20 Grandmasters who are inspired by the possibility of being World Champion.